Another trip around the sun…such a fascinating way to think of a new year. As we all ride together on this earth, we take a trip around the sun and it takes 365 days. This helps really see the year as a journey. So here we go on our 2015 trip. The number 15 has me thinking of how we can remember this year. What can we do to make it a year that stands out? Some of us are looking for a new year of new ideas, new jobs, new habits, maybe new ways to do the same old thing. So I started to ponder this 15 idea…. The International Year of Light and Light-based Technologies, 2015 is a United Nations observance that aims to raise awareness of the achievements of light science and its applications, and its importance to humankind. Fifteen is a triangular number, a hexagonal number, a pentatope number. The atomic number of phosphorus. Group 15 of the periodic table are sometimes known as the "Pnictogens". All four of the major Gaelic games—hurling, Gaelic football for men and women, and camogie—each team has 15 players on the field at any given time. In tennis, the number 15 represents the first point gained in a game. In rugby, each team has 15 players on the field at any given time. The jersey number 15 is worn by the starting fullback. In baseball, the National League and American League within Major League Baseball will each have 15 teams. The age of a quinceañera, a Hispanic girl celebrating her 15th birthday. The age for obtaining a driver's (or learner's) permit in certain jurisdictions. The number of days in each of the 24 cycles of the Chinese calendar. The number of guns in a gun salute to Army, Marine Corps, and Air Force Lieutenant Generals, and Navy and Coast Guard Vice Admirals. The number of checkers each side has at the start of a backgammon game. The number if balls int eh eight ball variant of billiards. The number of minutes in one quarter of an hour; 15 minutes past or before an hour is known as quarter past and quarter to, respectively. The number of letters in the words "uncopyrightable", "dermatoglyphics", "misconjugatedly", and "hydropneumatics", which are the longest words in the English language that do not repeat a letter. Oh, truly, I found this fascinating. We must not forget that 15 is the year of the learner’s permit in America…and those that are interested can start driving a car with their very nervous parent sitting next to them. My daughter is 15 and trust me, it is a year to remember!!! But, I keep thinking how can each of us make this a year to remember? 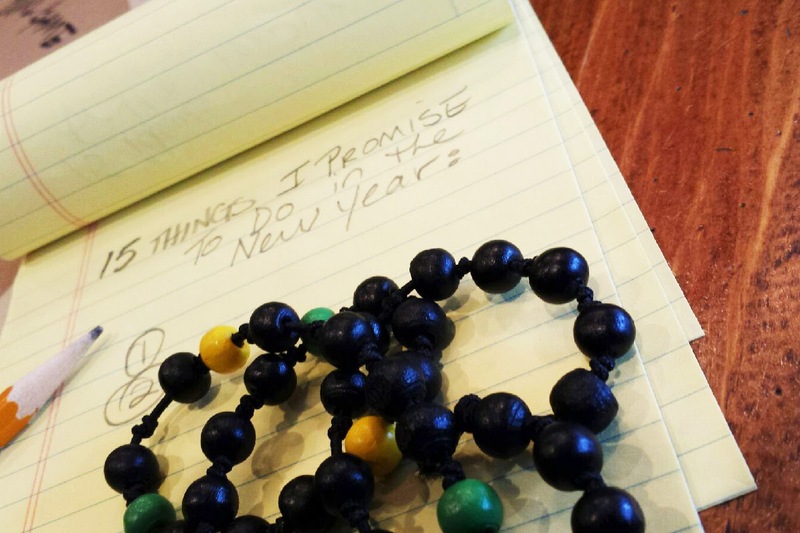 How about a list of 15 things you want to make sure happen this year in your life? Maybe 15 handwritten thank you notes, for 15 people who helped you make it through 2014! Contact 15 people that you have not talked to in the past year. Maybe adding 15 more ounces of water to your daily routine. Walking your dog 15 minutes each day. Promise to get 15 more minutes of sleep each night. Adding 15 new recipes to your weekly menu that has become so boring and predictable. 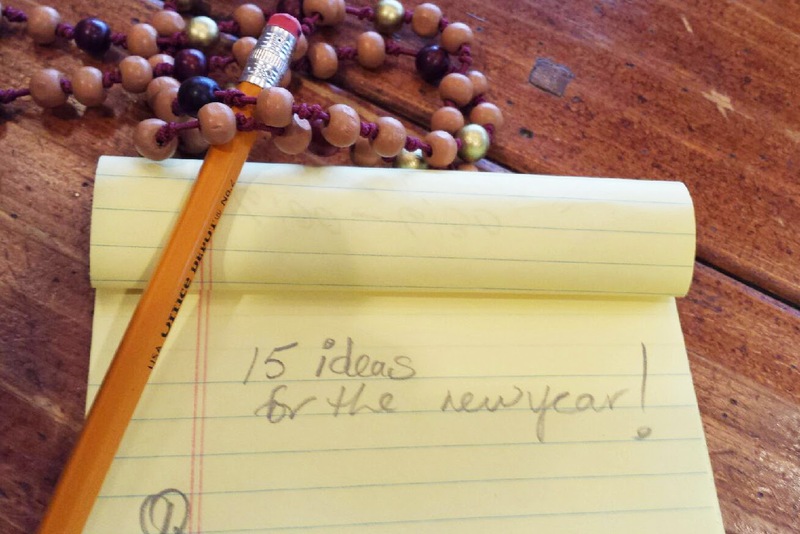 Or, promising yourself to do 15 random acts of kindness this year. Oh, these are the moments we want to remember and bring into our lives and the lives of others. Maybe it is time to clear out the clutter and get rid of 15 things in your closet that do not serve you or make you look your best. Even something really simple like promising to do 15 push-ups every day so those arms are buff and strong by summer. Well, I could keep going and going on this idea of 15 somethings to make this next journey around the sun one that we remember. Most of all, I have 15 things I want to write on a pad of paper to remind me that it is a new year…and it is time to make sure we are doing the best things we can to make this world a better place!!! Of course, I am going to make a bracelet for the 15 ideas that I want to carry with me on this trip around the sun. 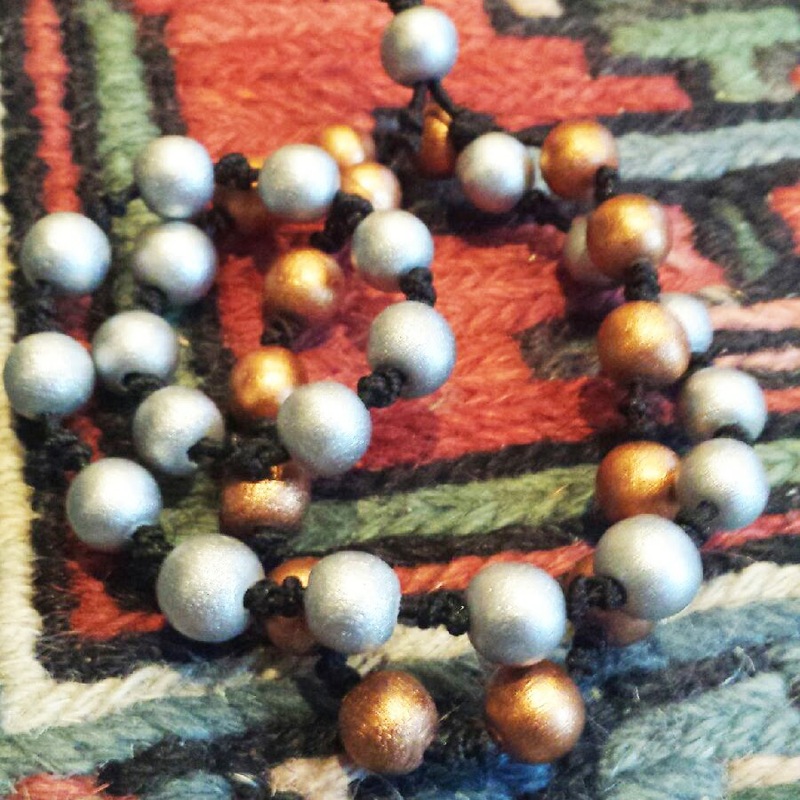 New Year's Bracelet: 20 silver and 15 copper beads as a reminder of the 15 things to make this year count! 2015- The International Year of Light! Oh, how I love that. Be safe and may your heart be filled with light.